An increasing number of people are moving to bigger cities. This pattern puts a lot of pressure on the schools, for which over-capacity and spatial availability are already challenging issues to deal with. 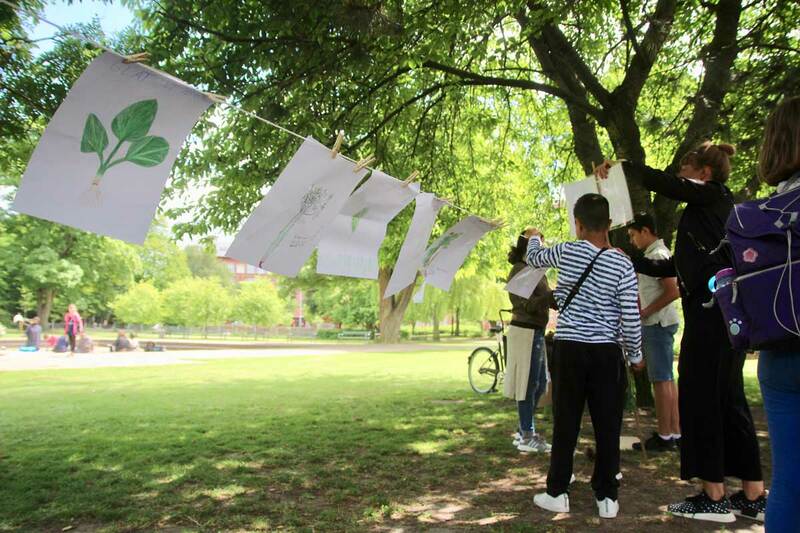 As a possible solution we have conducted a series of workshops with three local schools in collaboration with Nørrebro Area Renewal (Områdefornyelse Nørrebro) and BUF (Children and Youth Committee). 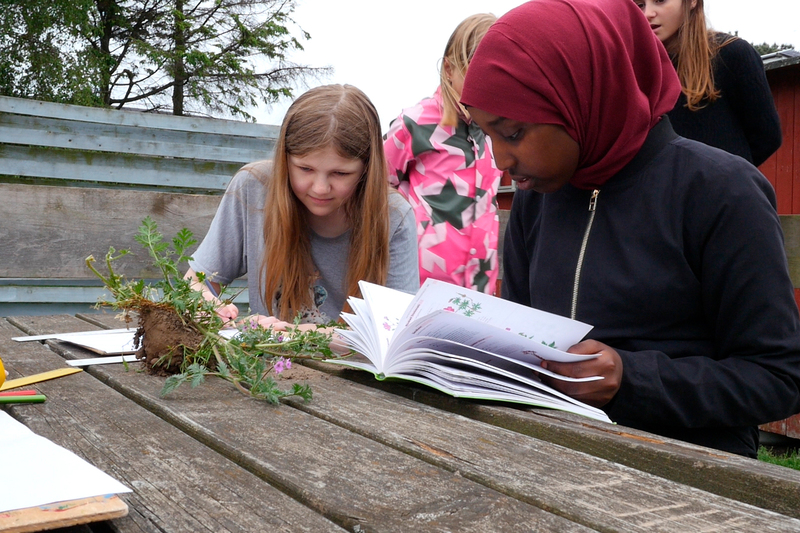 We explored the possibilities and challenges of introducing outdoor education as an integrated part of daily teaching. 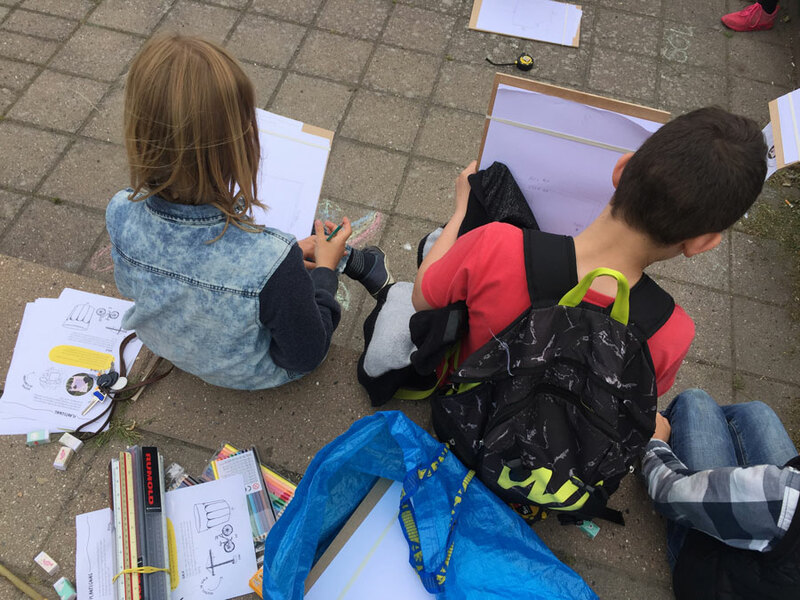 The workshops aimed at gathering knowledge, ideas and feedback from the participants about existing forms of outdoor classrooms, as well as develop new types of educational spaces in relation to the district and the users’ needs. 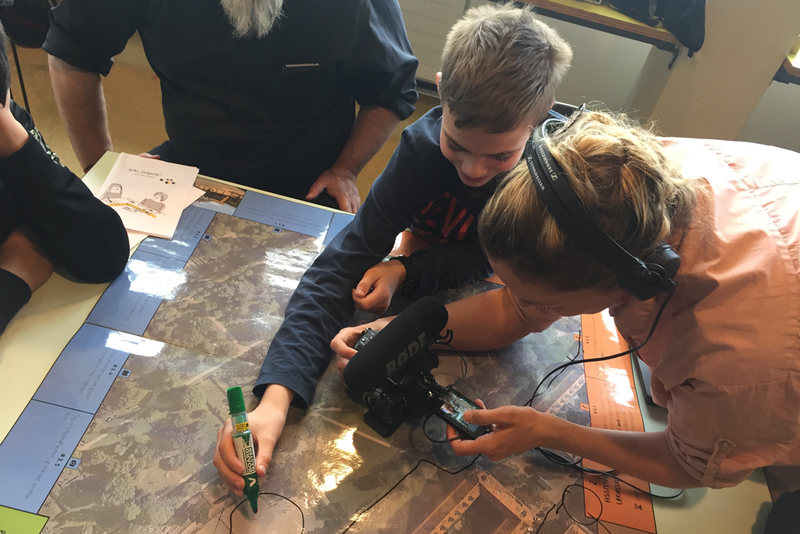 The workshops covered a broad range of activities, including social and spatial analysis of the area, concentrating on ways it could support outdoor education. 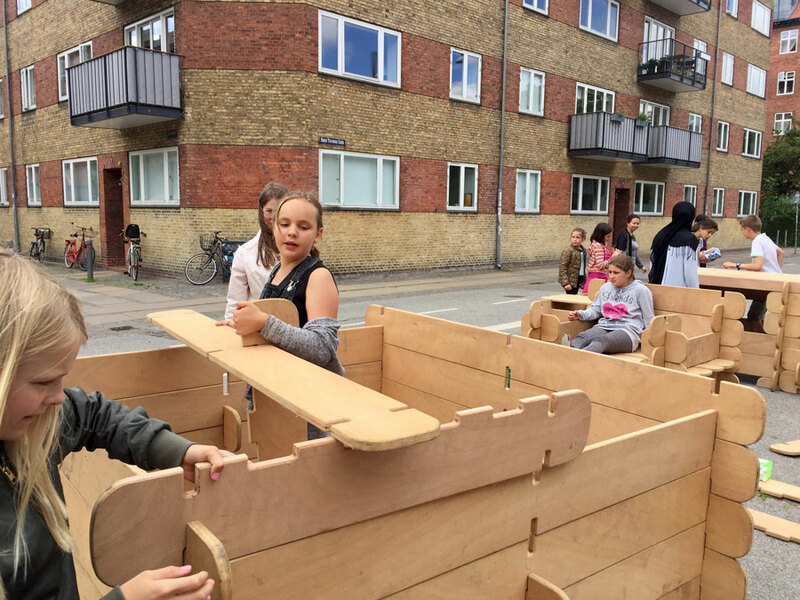 Other activities included, visiting existing outdoor classroom projects and testing out various outdoor classroom scenarios through prototyping. As the last step of the workshop, all ideas and visions were collected and shared with the teachers to hear their feedback and input. 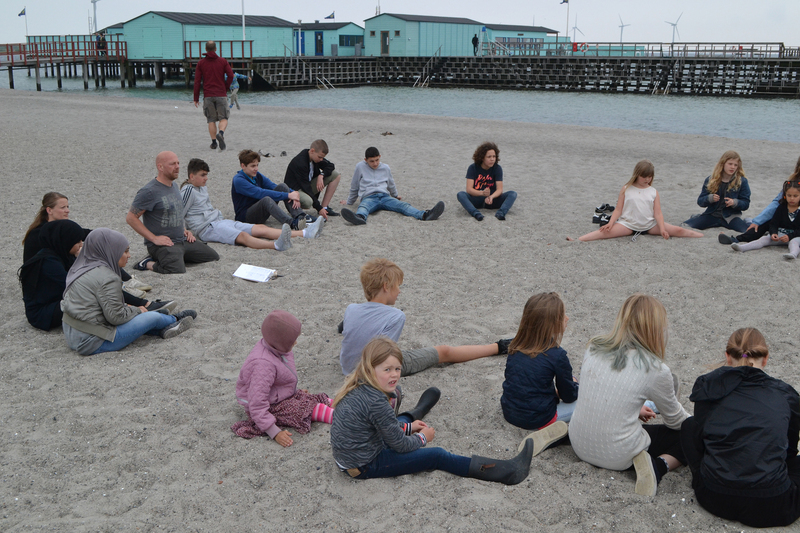 During our exploration of outdoor educational spaces we visited Den Grønne Friskole, a small private school with a lot of experience in outdoor education. 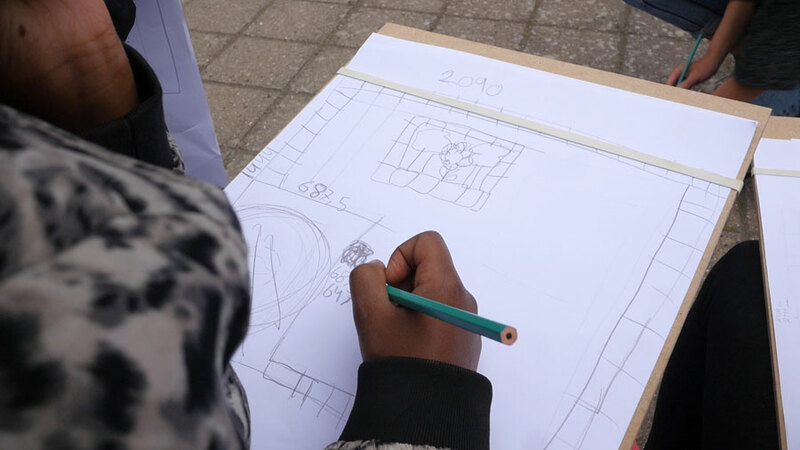 Both we and the teachers were inspired by the simplicity of different spatial elements that were central to the design. 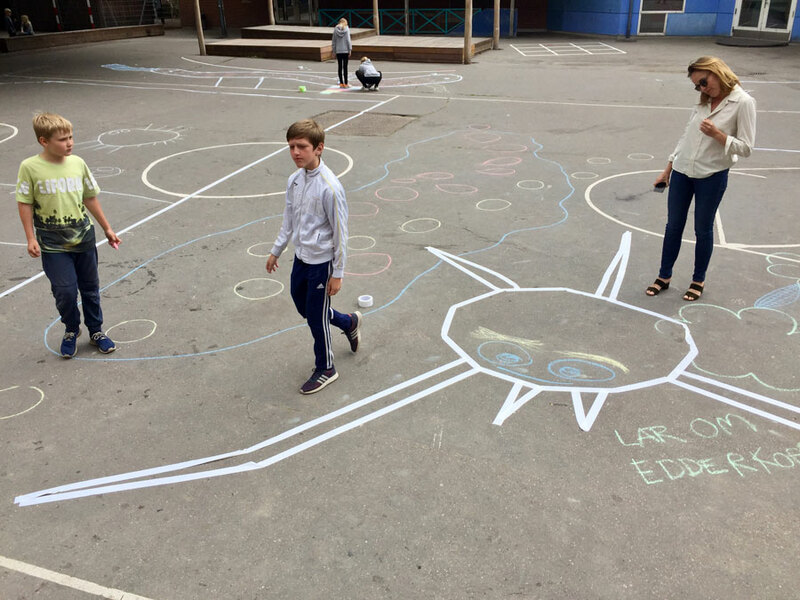 We later tried out some of those elements such as “the school circle”, a ritual in which the students gather around in a circle creating a mental and physical boundary between what they consider school and not. 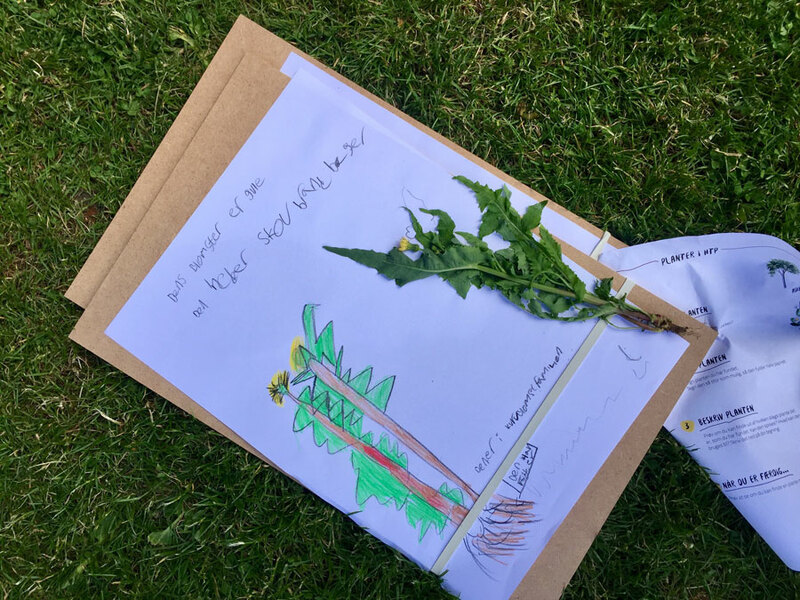 Another simple tool we reiterated was the “school board” – a wooden board, not too heavy, that enables the students to write or draw their findings in the field. 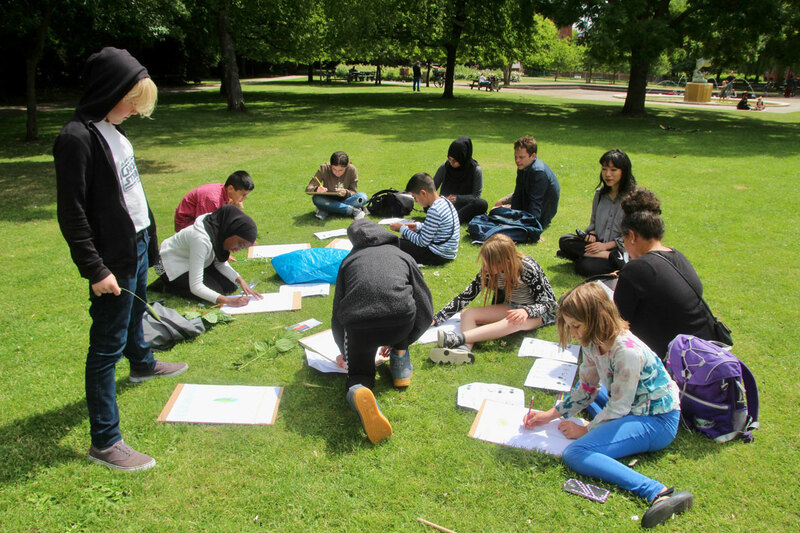 Outdoor education addresses more than the lack of space in schools. Several studies suggest that it enhances student learning outcomes. 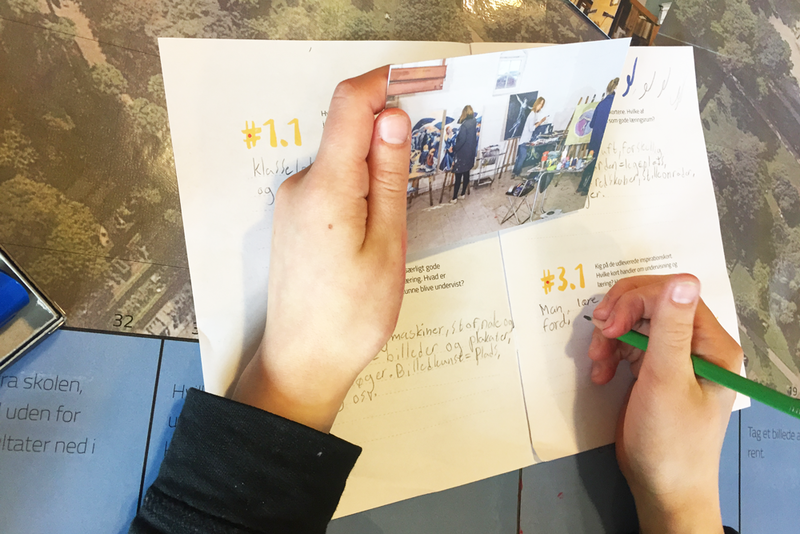 Students tend to remember what they’ve learned for a longer time through multiple learning methods. 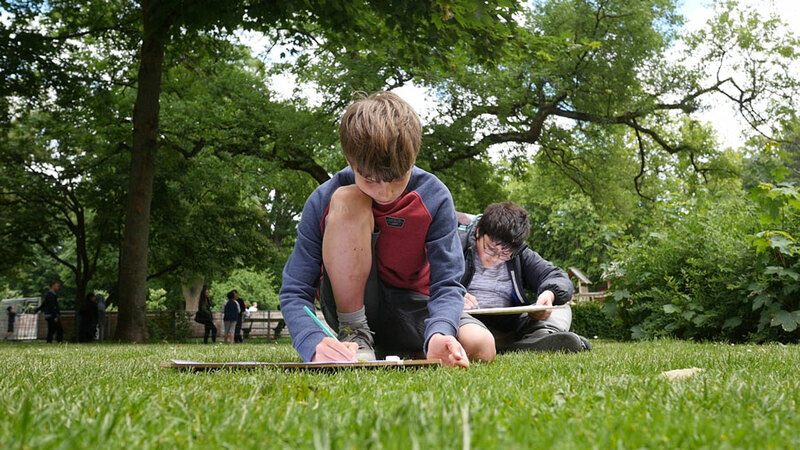 Switching from a traditional, interior classroom space to the outdoors has been found widely effective in student’s cognitive development. 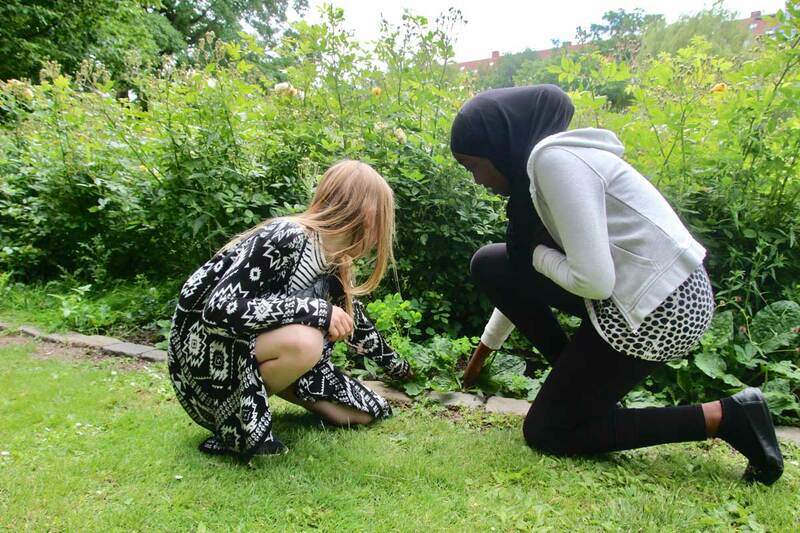 This project serves as a learning process for both its organizers and participants. 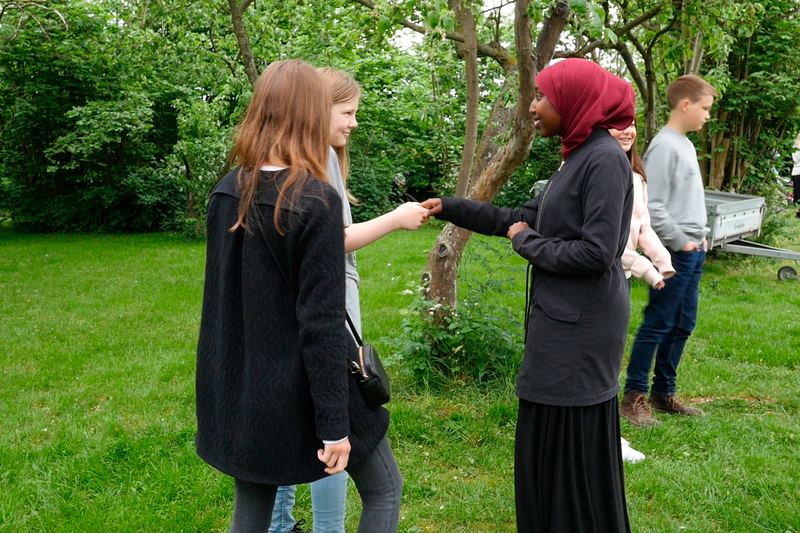 While participants learn about different types of outdoor learning methods and the abundance of their immediate surrounding as a learning platform, the organizers gain local knowledge, enabling them to co-design the most effective outdoor school spaces. Furthermore, this project will hopefully generate political will and interest to support future outdoor education projects.